Most of the time, when a film takes a look at religion it can be hit or miss on an extreme scale. It runs the risk of being too preachy or flat out church in film form (i.e. God’s Not Dead) or it could be an in depth look at the nature of faith in a chaotic world (i.e. Silence). Novitiate, thankfully, falls much closer to the hits. Raised by a non-religious, single mother in rural Tennessee, a scholarship to Catholic school soon finds Cathleen (Margaret Qualley) drawn into the mystery and romanticism of a life devoted to the worship and servitude of God. With the dawn of the Vatican II era, radical changes in the Church are threatening the course of nuns' lives. As she progresses from the postulant to the novitiate stage of training, she finds her faith repeatedly confronted and challenged by the harsh, often inhumane realities of being a servant of God. Cathleen finds herself struggling with issues of faith, sexuality, and recent changes in life of the Church. The film’s strengths involve its deeper themes of faith and devotion to a deity and not necessarily feeling this love reciprocated. 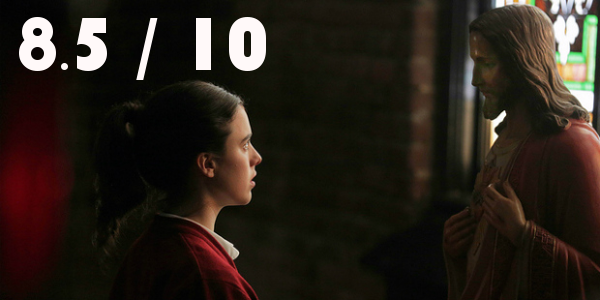 And though the questions are universal, Novitiate feels unique in its use of different perspectives. With a fairly intimate look at each individuals journey, the film makes a path that is interesting in its own right, but only becomes more intriguing amidst the historical backdrop. Though there aren’t any true weak performances in the film, these is a reason that Melissa Leo is receiving a majority of the praise. All the awards buzz is completely justified as Leo delivers a compelling and complex performance that anchors the film. That’s not to say the rest of the cast doesn’t excel though. Margaret Qualley is able to keep pace with the veteran Leo, especially with so much material to work with. The most surprising performance, however, has to be Dianna Agron, whose subtle nature and emotional role start the whole philosophical outlook of the film. If one were to describe Novitiate in one word, elegant would be it. The film is beautifully shot to match the themes and the entire atmosphere has a sort of grandeur to it. 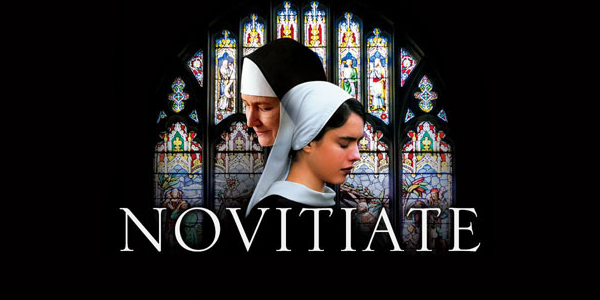 Novitiate is a grand, gorgeous experience that is crafted to portray just that. It handles almost like a painting, with each perspective a different stroke amongst the bigger picture. Overall, Novitiate is a good film regarding faith and religion and what it means to an individual. Led by a brilliant performance from Melissa Leo, one that will surely land her a multitude of nominations once the season begins. But the elegance of the film as a whole is hard to match, making Novitiate worthwhile for the experience alone. So what did you think of Novitiate? Have you seen it? Are you interested in seeing it? Share, subscribe, comment below, and as always return to I Am Sam for weekly reviews and insight.